Plastic remote cover, shell for BUICK, CHEVROLET, GMC, CADILLAC, PONTIAC, SATURN. Fits ONLY on GM P/N: 15186200 - 15186201 - 21997127. Fits ONLY on GM P/N: 15132197, 15132198. Fits ONLY on GM P/N: 16263074-99 3 BUTTONS. Fits ONLY on GM P/N: 15008008, 15008009. Fits ONLY on GM P/N: 15732805, 15732803. Fits ONLY on GM P/N: 10335582-88 3BP. Fits ONLY on GM P/N: 25695955, 25695954, 25665575, 25665574, 10443537, 15752330, 15184352, 22675165. 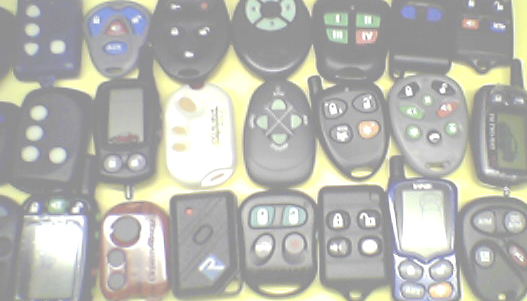 Plastic remote cover, shell 4 BUTTONS for BUICK, CHEVROLET, GMC, CADILLAC, PONTIAC, SATURN. Fits ONLY on GM P/N: 16263074-99. Fits ONLY on GM P/N: 9364556-4575. Fits ONLY on GM P/N: 22733523. Fits ONLY on GM P/N: 15913421. Fits ONLY on GM P/N: 15913420. Fits ONLY on GM P/N: 15100813. Fits ONLY on GM P/N: 22733524. Fits ONLY on GM P/N: 15913427. Plastic remote cover, shell for FORD, MERCURY, LINCOLN. Fits ONLY on FCC ID: GQ43VT11T, CWTWB1U212, CWTWB1U331. Fits ONLY on FCC ID: GQ43VT11T, CWTWB1U313, CWTWB1U343, CWTWB1U331 (TYPE 5, TYPE 7). Fits ONLY on 3 buttons (1 on back an 2 on front) with FCC ID: GQ43VT14T. Fits ONLY on 3 buttons with FCC ID: KBRASTU15.